If you're heading towards the Great Ocean Road or Warrnambool in Victoria, and you're taking the inland route, chances are you'll probably pass through the small rural town of Terang. Located on the Princes Highway, between the larger towns of Camperdown and Warrnambool, and boasting a population of nearly 2500 people, this is the perfect place to stop and have a lunch break before you reach the relative bustle of one of the state's most popular tourist spots. 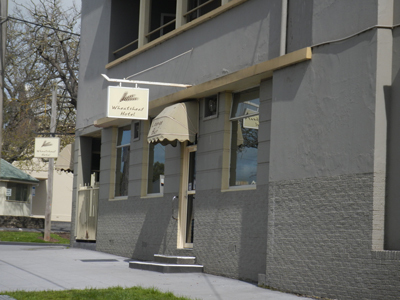 Terang isn't a terribly large place, and there are several options when it comes to dining out. But if you want to have a lovely bistro meal at an extremely affordable price, your best bet is to visit the Wheatsheaf Hotel in High Street. This corner pub has a distinctive blue-grey exterior, and while the corner entrance leads into the bar, the entrance that runs along High Street allows patrons to enter the bistro/café area directly. On entering, the first thing you notice is the fresh décor. The walls are brightly painted and adorned with modern and abstract artworks. 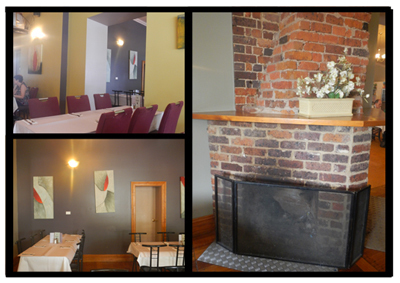 There are two main dining areas, (one of which is a smaller room complete with a brick fireplace) and the wooden floorboards and high ceilings give the illusion of the place being much larger than it is. Decorative potted plants help to complete the tranquil look of the establishment- these little touches help to distinguish the place and set it apart from the more masculine and traditional style of the adjoining pub. The menu at Wheatsheaf Hotel Bistro caters for a wide range of tastes, and, as mentioned earlier, is extremely affordable. 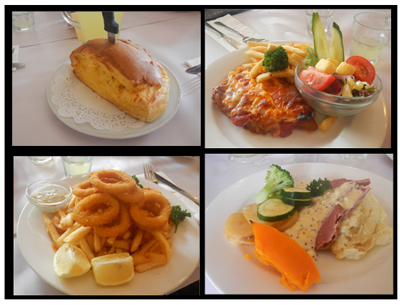 Nearly all of the mains are $14.50 each (with the exception of the chicken parmigiana and a few other dishes which cost around the $16 mark). All entrees are $5 (although you only have the option of soup or garlic bread), as are children's meals. There are no desserts listed on the menu, but there is a very enticing cake stand located next to the bar, which boasts several types of cheesecakes and other baked goods (if you feel the need to indulge after your meal). Main meals vary from roast lamb or pork, to bacon and mushroom pasta. 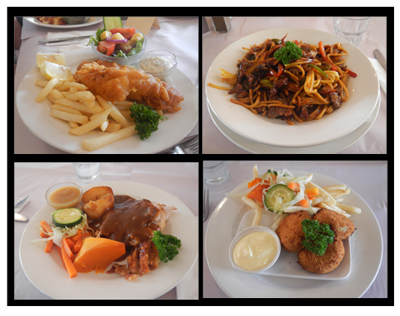 If you feel like having something Asian, there is a delicious beef stir fry with noodles, or for those interested in seafood, you could try the fish salad, or the grilled or battered flake. You can also add chips, salad or vegetables to your meals if you so desire. Vegetarians are also catered for, with risotto balls and vegetable lasagne available on the menu. 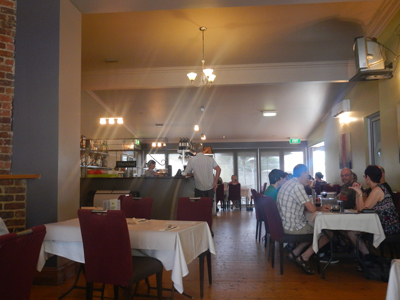 I have been to the Wheatsheaf Hotel for lunch several times, and have never been disappointed. There is a lovely family-friendly atmosphere, the staff are attentive and always make sure everyone is happy, and the food is delicious and reasonably priced. 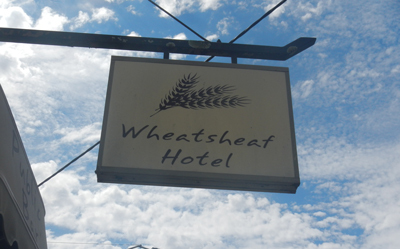 If you ever happen to drive through Terang, the Wheatsheaf Hotel is the place to go for a tasty meal and great service. Cost: Prices start from around $5 and go up to about $17.